For those who are on a time crunch and appreciate fast service, we have a wide selection of quality ready-made frames for you to choose from. Because these frames are ready-made, they are readily available in various size options, waiting to be shipped. Can you still add a print? Yes! Just contact us so we can take care of you. Some of our most popular luxury frames are in this collection! These range from the very classic and ornate, with black velvet liners, closed corners, and intricate details, to modern, rustic, wooden frames, and everything in between. 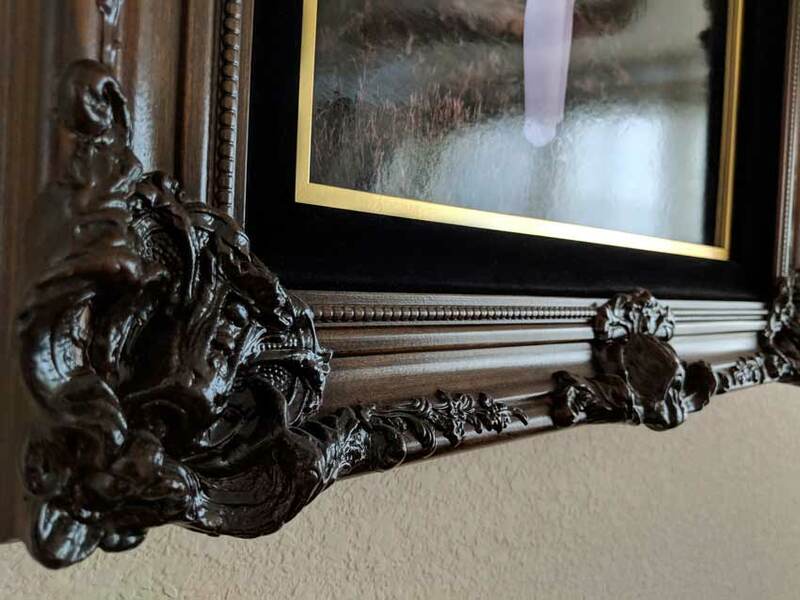 Luxury frames that are over-the-top ornate are highly sought and hard to find, and we can bet you won't find a better price than our wholesale pricing here at The Levin Company. If you're looking for frames that can hold their own on the walls of billion-dollar mansions, celebrity homes, or even The White House, this collection from The Levin Company will exceed your expectations.